Most dentists agree, says biomedical informatics expert Muhammad Walji, PhD, about the optimal thing to do when a child’s 6-year permanent molars erupt (break through the gums). Dentists should “seal” the molars by applying a plastic coating to the biting surfaces to block bacteria. Sealants have been shown to decrease the long-term risk of decay. In practice, however, many dentists are not doing sealants. Some weren’t trained in dental school to apply them. For others, reimbursement rates are so low that the financial incentive for promoting sealants is minimal. While shown to be safe, sealants concern many parents, and some dentists, who worry that sealants contain components from the same family of chemicals as bisphenol A (BPA). For a better understanding of what is actually happening on the ground, a team of researchers turned to the BigMouth Dental Data Repository, an oral health data repository housed at The University of Texas Health Science Center at Houston (UTHealth) School of Biomedical Informatics. BigMouth, which Walji directs, contains more than 2 million electronic health records from seven dental schools across the U.S. The records include patient data from the schools’ dental clinics, which are primarily staffed by students and residents. Data also comes from the schools’ faculty group practices, which tend to be full-service, multi-specialty clinics. What the researchers found in the data was striking. Such data, he adds, is essential for defining the scope of the problem and developing solutions. It is precisely the kind of research BigMouth was intended to enable. The earliest version of BigMouth was born in 2007, when leaders of the dental schools at UTHealth Houston, Harvard, Tufts, and The University of California at San Francisco formed the Consortium for Oral Health Research and Informatics. Over the next few years the project expanded to incorporate data from three additional dental schools. Through the consortium, the collaborators developed a centralized database that included all the electronic health data the institutions had collected, creating the beginnings of what is now called BigMouth. Today, the repository contains records from UTHealth Houston School of Dentistry, Harvard School of Dental Medicine, The University of California San Francisco School of Dentistry, The University of Michigan School of Dentistry, Tufts University School of Dental Medicine, The University of Colorado School of Dental Medicine and The University of Pittsburgh School of Dental Medicine. “All the data is sent from each of these other sites, and we host it centrally here,” says Walji. One of the project’s goals, from the beginning, has been to prioritize data accessibility, especially for the institutions involved. To help faculty and students with limited technical skills to work with the database, Walji and his team adopted an open-source platform called I2B2 as a foundation for a user-friendly login, allowing researchers to sift easily through the data. The data extracted from the dental schools consists of patient demographics, dental histories, procedures, prescriptions, and diagnoses. The BigMouth team can look through the data for trends: what’s happening, what works, what doesn’t. Walji gives the example of tobacco dependence — an area of interest to dentists because of the adverse oral health effects of tobacco use. He and his colleagues learned that only a small percentage of tobacco-dependent patients receiving care at BigMouth institutions were getting referrals for smoking-cessation counseling. The finding has since prompted clinics to look for ways to improve those numbers and may also be used to improve what dental students learn about tobacco-cessation counseling and referral. BigMouth is also helping to bridge the gap between dental and medical care. 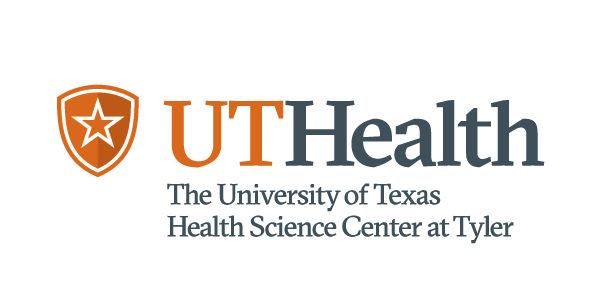 UTHealth and UT Physicians (the faculty practice of McGovern Medical School at UTHealth) linked their electronic health records with BigMouth. Approximately 40,000 patients overlap in the database, meaning researchers can take a more holistic approach. For example, cardiovascular status and other major health concerns aren’t necessarily included in dental records, so having the corresponding medical records provides an opportunity for researchers to draw more connections between patients experiencing the same dental health complications. In addition to BigMouth, the consortium has developed and implemented standardized terminology for diagnosing dental diseases and conditions. Insurance companies have long required such standardization for medical claims, but not (generally) for dental claims. The lack of uniform dental diagnostic terminology created inconsistencies in data and obstacles to research. After considerable effort by the consortium institutions — including a drive to balance the priorities of academics and practitioners — the terminology has been standardized among the those contributing data to BigMouth, and the American Dental Association has included the terminology in the ADA’s Systematized Nomenclature of Dentistry (SNODENT®) standard. “This is a key building block to understanding and ultimately improving care,” Walji says. Looking forward, he hopes BigMouth can be expanded, over time, to include data not just from more public institutions, but from private dental practices as well. The advantages of joining BigMouth, he says, are considerable and will only increase over time. As more research is available on what kinds of genetic components or other pre-existing factors contribute to different oral complications, prevention can become more patient-specific and, hopefully, more effective.